On Friday, the curtain came down on our team’s annual en primeur Burgundy tasting trip. Over the last week, you have been expertly informed and updated by my colleagues as to the nuances of Burgundy, specifically to the “ins and outs” of analysing the 2017 vintage. There is little point in repeating what has already been written – but what might be helpful is to provide a little analysis and feedback on what has been a hugely successful and enjoyable week’s tasting of what I believe to be a charming and, in many cases, excellent vintage. Alarms were set early on Friday and, although battle-weary, sleep-deprived and palate-fatigued, there was a spring in our step. The morning’s visits had been the most highly anticipated of the week; Team A were due at Domaine Georges Mugneret-Gibourg and Domaine Sylvain Cathiard with Team B heading to Domaine Méo-Camuzet and Domaine Lamarche. After the usual cup of gravy-like coffee and stale pain au chocolat, the two teams raced to their vans to commence the short journey up the Route des Grands Crus. 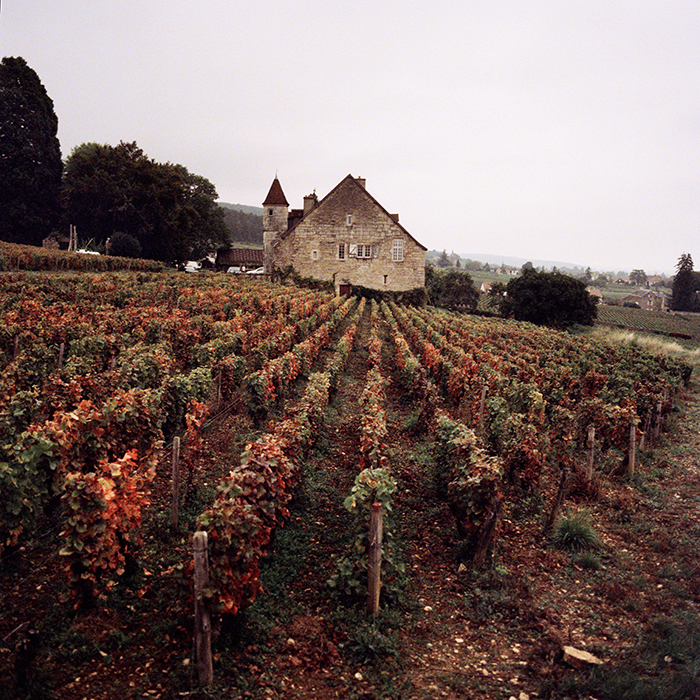 Destination: the village of Vosne-Romanée. Our iPhones once more pocketed, we returned to the village for our first visit; the historic, all-female team of Domaine Georges Mugneret-Gibourg. Mugneret-Gibourg is, perhaps, not the most well-known domaine on our shores; however, having been lucky enough to sample a number of the wines over the years, I was excited to see what my first visit to the domaine and their 2017s had in store. We were met by the elegant Marie-Andrée Mugneret, who joined her sister, Marie-Christine, at the domaine in 1992. Marie-Andrée led us to the newly constructed cellar and barrel room and, after a brief history of the estate, we went through six wines from the portfolio. The only thing to say is that that the wines were a delight. From a sumptuous village Vosne-Romanée to a silky, perfumed Chambolle-Musigny Les Feusselottes, ending with their Ruchottes-Chambertin Grand Cru – a Chambertin raised in Vosne, which was a tour de force, all succulent red-berry fruit, sweet spice, toasted oak and crushed rocks. A few minutes’ walk through the village, passing some of the greatest domaines in the Côte d’Or, we arrive at our final tasting at Domaine Sylvain Cathiard. There is not much that can be said about Sébastien Cathiard and his wines which has already not been said; they are some of the most sought after and highly regarded wines in the world – a reputation thoroughly deserved. Sébastien was unloading four cases of wine into the back of a lucky individual’s car as we walked into the domaine building. Obviously, I wish that it was my car he was unloading said cases into but, more importantly, I feel this vignette epitomises the region and its vignerons. They are not superstars; they are winemakers. They see their job through from start to finish with fastidious detail. I find it hard to believe a winemaker in a similar position at a top Bordelais estate, would be seen doing the same, no matter how important the client. Back to the wines; they were fantastic. Yes, they should be, but the region, climate and terroir do not always make it so easy; 2017 was no easy year but you could not tell when tasting. There is a richness, concentration and elegant structure to the wines this year. The Coteaux Bourguignons Rouge, made from the humble Gamay and rather more regal Pinot Noir, was supple, fresh and juicy yet with a tannic backbone. 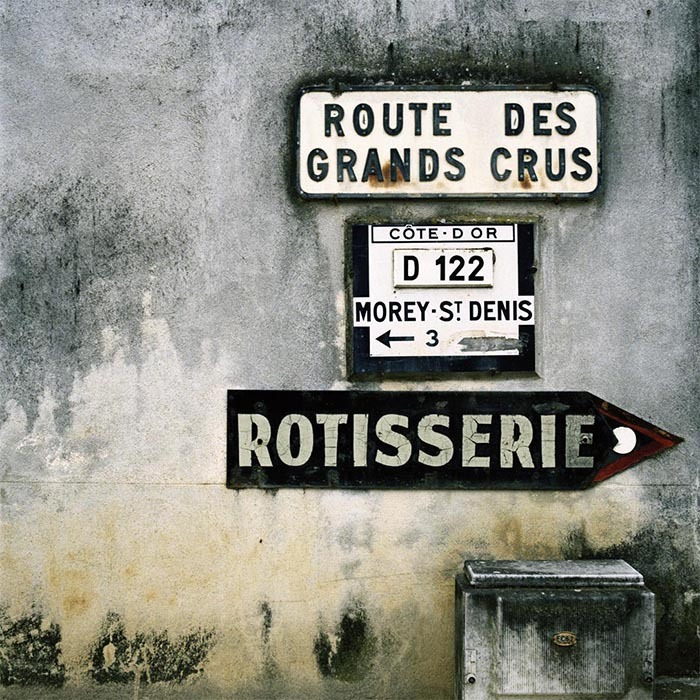 Moving through the range from village to Premier and Grand Cru offerings, you really see the changes in terroir and how it enables making such wines a possibility. For me, the Premiers Crus of Vosne-Romanée just outshone those of Chambolle-Musigny and Nuits-St Georges, while Sébastien’s one Grand Cru, Romanée-St Vivant, was my wine of the trip. As ever here, we ended with five wines presented blind. I would love to say that my colleagues and I were spot on in all our judgements but that would be stretching the truth; I think we mustered a collective two correct vintages and one correct vineyard (Teacher’s Grade E: “Must try harder”) – but blind tasting was designed to make one look foolish in defeat. So, writing this from my kitchen table back in a rainy south London, what are my final thoughts on the vintage? It is hard to deny it is a white vintage, especially when it comes to consistency at all levels. That being said, there is a lot to be admired in the reds, especially those of Beaune, Volnay, Vosne-Romanée and Chambolle-Musigny. While it is a vintage where you will “get what you pay for”, there are still plenty of exceptions to this rule, with plenty of underrated wines from unassuming producers and vineyards. Most promisingly, there should be adequate volume this year, especially compared to 2016 – it’s a treat to see the winemakers so happy in their full cellars after six lean vintages. I hope you have enjoyed this week’s running commentary; it has been hard work (I promise!) but very rewarding. The 2017 vintage, as far as I am concerned, is for all cellars and price-points. We look forward to advising you and securing your allocations on the other side of Christmas. Our Burgundy 2017 offer will launch on 3rd January 2019. Read the rest of the team’s reports here.